The title of this post refers to a song sung in the sixties by Eric Burdon and the Animals entitled "Monterey". I was in grade school in 1967 when the song was first sung at the Monterey International Pop Festival, and it became one of my favorite songs growing up. Truth be told, I still love the song. Every time I see an image of Monterey, the lyrics of the song always come into my mind. 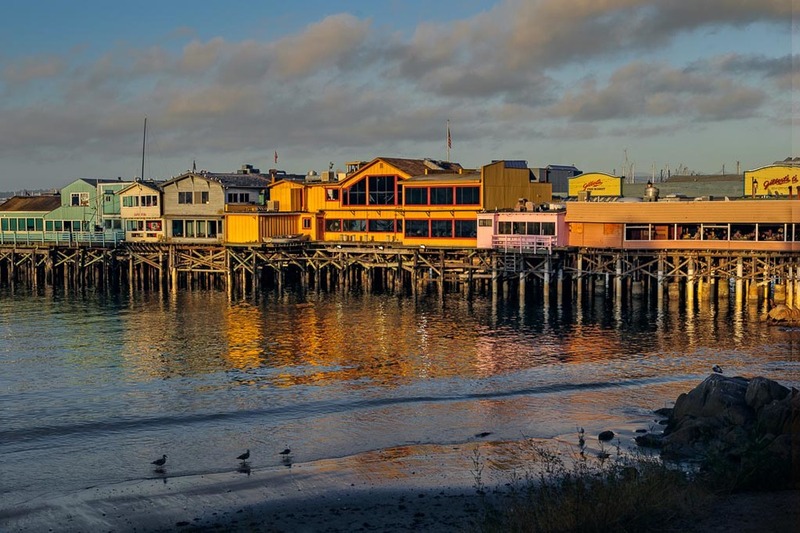 After editing this image of Monterey's waterfront, I knew what the title of this post was going to be. Many of you are too young to remember the song so, I have put the lyrics to it below. Maybe you will even listen to it on your online music service and sing along. Set the world on fire, yeah!